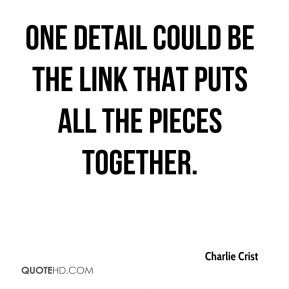 One detail could be the link that puts all the pieces together. 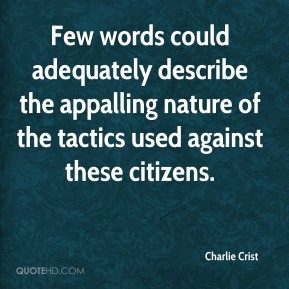 Few words could adequately describe the appalling nature of the tactics used against these citizens. 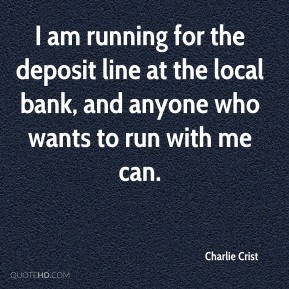 I am running for the deposit line at the local bank, and anyone who wants to run with me can. I'm pleased that maybe his faith has been restored. 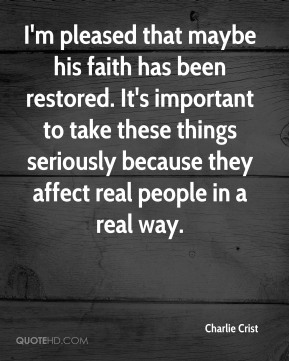 It's important to take these things seriously because they affect real people in a real way. 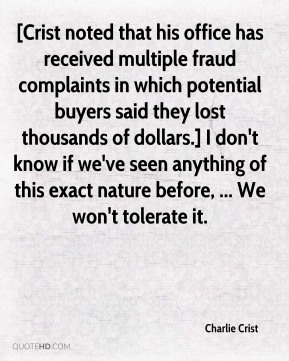 [Crist noted that his office has received multiple fraud complaints in which potential buyers said they lost thousands of dollars.] 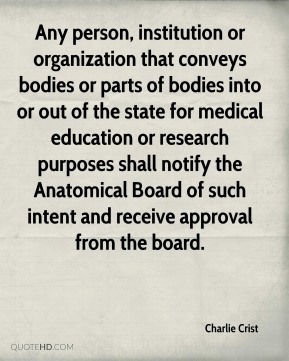 I don't know if we've seen anything of this exact nature before, ... We won't tolerate it. 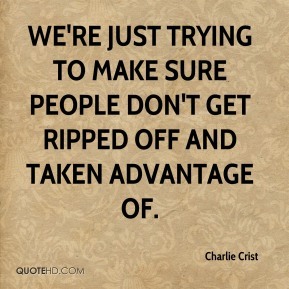 We're just trying to make sure people don't get ripped off and taken advantage of. We are taking a two-pronged approach to fight this egregious behavior. 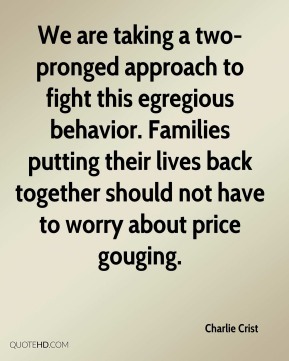 Families putting their lives back together should not have to worry about price gouging. Wow. 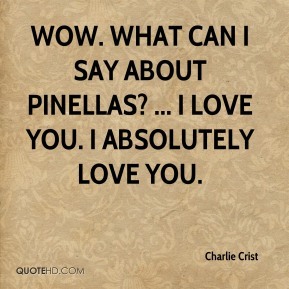 What can I say about Pinellas? ... I love you. I absolutely love you. 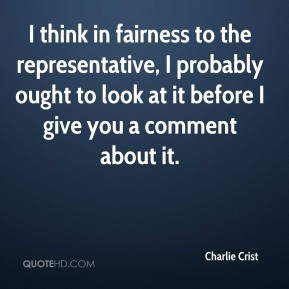 I think in fairness to the representative, I probably ought to look at it before I give you a comment about it.